Columbus was beautiful as was Carolyn, of course! Thanks for everything! When I first arrived in Columbus, I was starving! I had not eaten all day because the bus was not stopping! So, I walked right out of the bus station and found the first place to eat that I could. Luckily, the first place that I stumbled upon was also a staple of Columbus. It was a hot dog restaurant called Dirty Frank’s Hot Dog Palace. I savored a nice tofu dog for the first time. It was swanky! There was a really delicious pickle, and they had all kinds of interesting hot dog combinations to try. They also had amazing french fries and ice cream. Beautiful! As I was eating, I started to talk to a really nice couple, and they paid for me. Thank you to them too. That was really very nice, and I enjoyed talking to you. 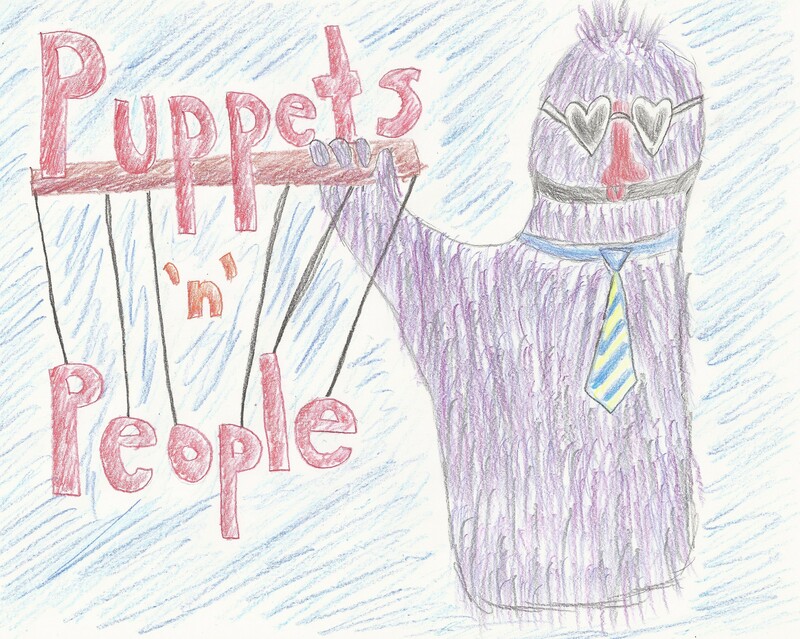 I am sorry that you did not get to see the puppet show! Perhaps some other time. Anyhow. The conversation was amazing as were the hot dogs and fries. Eventually, Carolyn came! She brought friends, and we stayed for quite some time. We all enjoyed each other’s company. I had a really good root beer, and I began to learn about the politics of being a lecturer at a university. It was a nice evening. 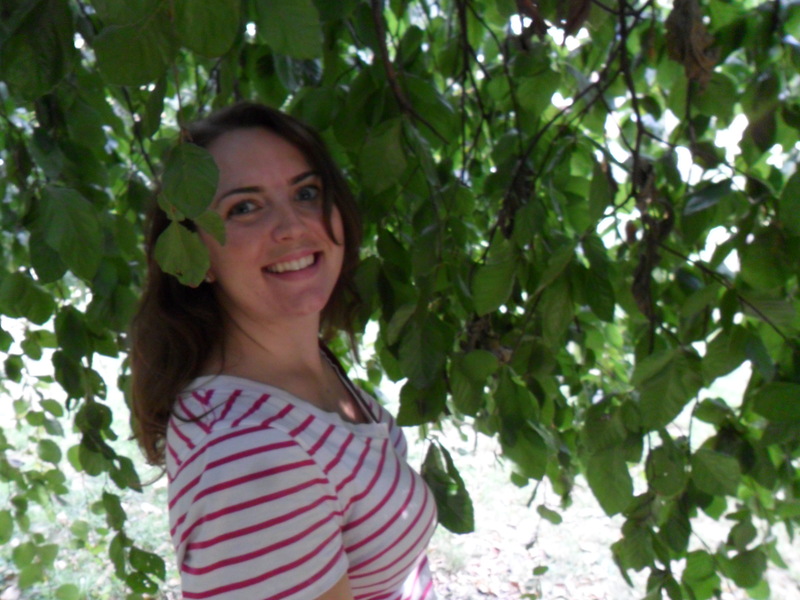 The next day I was able to experience the first day of school again through the eyes of a university lecturer. It was odd because I was an outsider. I also went to the annual school fun fair. This spurred my thought because there were street performers, stilt-walkers, and jugglers at this college fun fair. 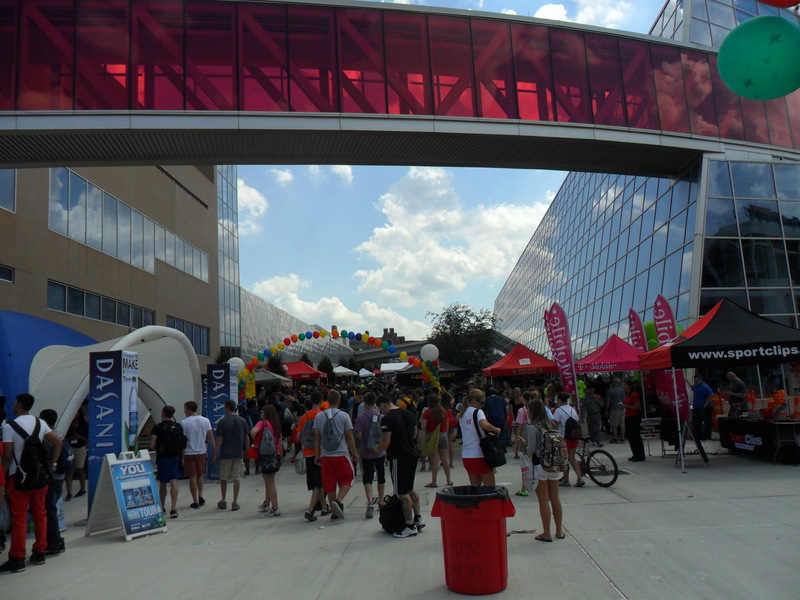 There were also, of course, the normal credit card booths, activity booths, student services booths, etc. I began to wonder just how much money went into this fun fair. Would it be better spent elsewhere? Perhaps there is value in promoting and helping to build a community with a fun fair. However, would that money be better used to pay professors and teachers? I do not know. It was but a thought. I know that teachers and professors are quite underpaid for the work that they do. Anyhow. It was interesting to observe first day jitters of students and to see it from the outside. I am quite sure that I will return to school again eventually. We shall see what happens. Finally, there is a nice picture of Carolyn, who was a beautiful host, gracious friend and listener. I hope that your giant horse turns out. I am excited to either see it in person or see pictures soon! Columbus was nice, and I said goodbye to it this morning. The bus ride to Niagara Falls was mostly uneventful. Mostly. Once I got to the border of Canada, I was denied admittance. I was carrying inadmissible goods. I think that most of the time inadmissible goods would include things that would obviously be illegal. In this case, Canada simply did not want puppets entering their border. I thought about it, and I suppose I would have needed to apply for a passport for all twenty-something of them. That would have been a lot of work. That, or, I should have considered starting a puppetry smuggling business across the border into Canada. Quick stuff all the hand puppets into the violin case, and nobody will notice that it’s not a violin! All joking aside. 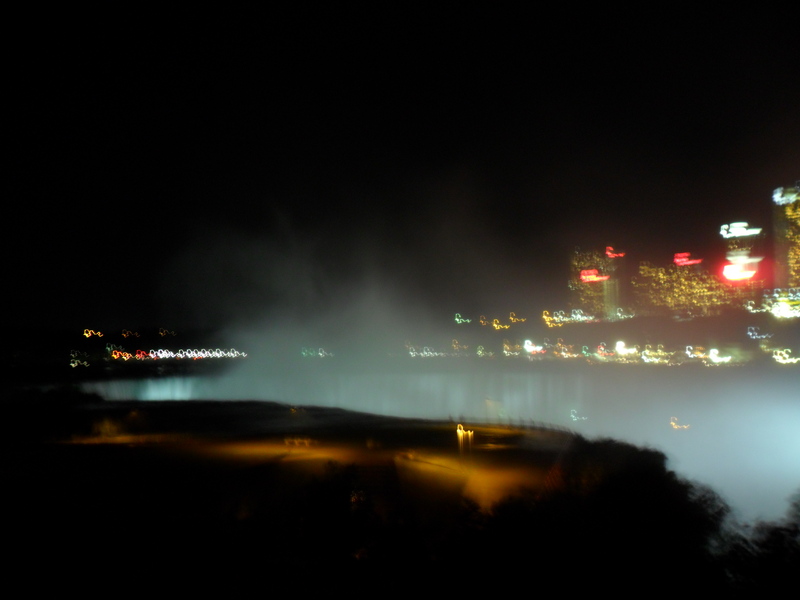 I guess puppets are considered commercial, so I went with the flow of Niagara Falls, and I found a place to stay. 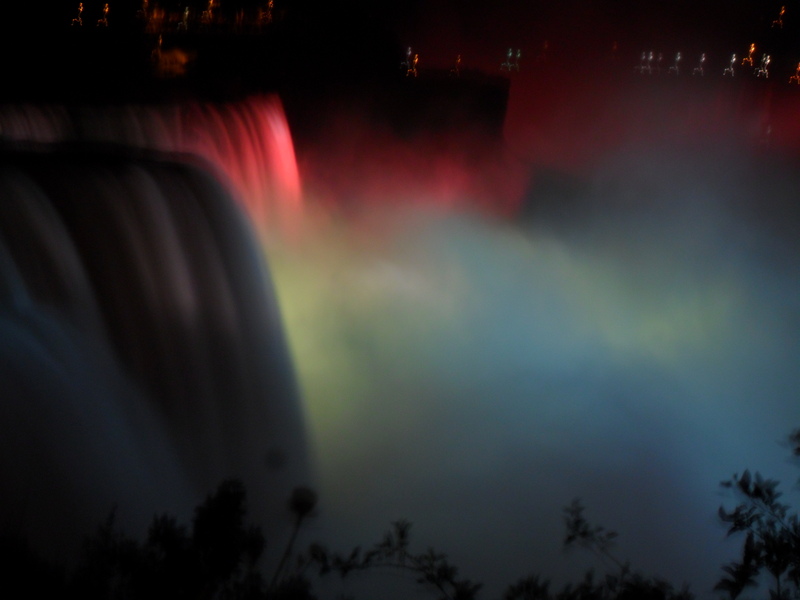 It is very close to the falls, and I have some lovely night photographs of them. They are beautiful. Once again, I heard the earth breathe when I heard them roar. Granted, this time there were the glaring light of Casinos and a pretty big city everywhere, but if you ignored that, and you just listened to the falls. It was amazing. 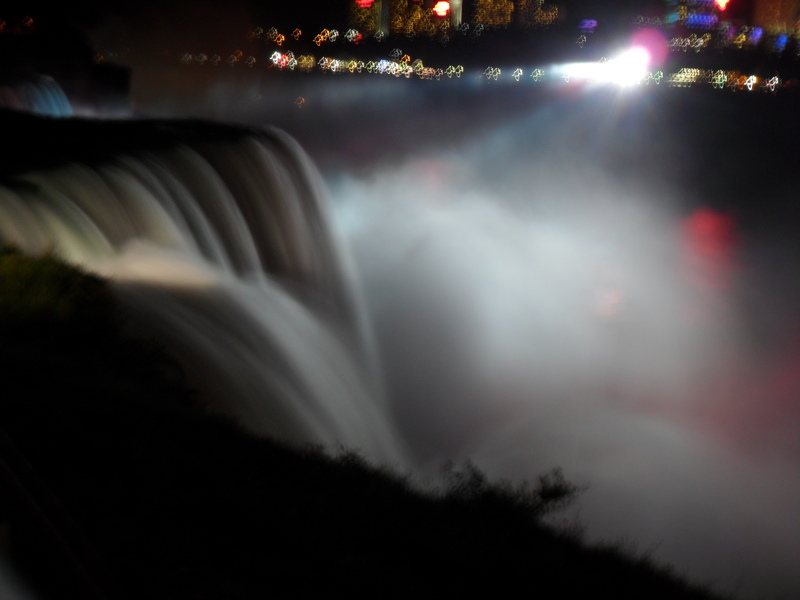 The lights on the falls also were not so bad. It is a good reminder sometimes to know that there are things in the world far more powerful than you. People really are not so significant. We spend very little time here in comparison to such beautiful natural wonders that are slowly shaping the earth. Yes. It was a nice evening walk. It is good to know that there are huge things. Things that one cannot even fathom. It puts lots of things in perspective. I could not help but think, as I was being misted by the falls, that maybe, just maybe, I really am being washed completely clean. Water is so renewing. I do not know what the future holds after this journey, but I know that it will be a clean start. The falls have put that into perspective for me.